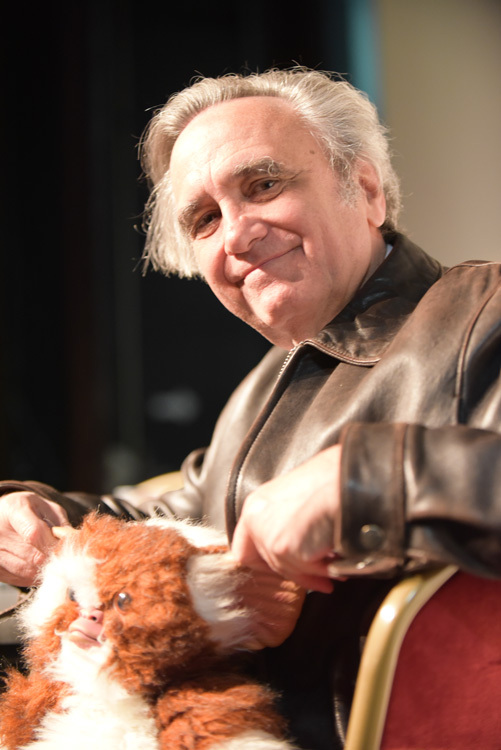 Joe Dante (1946), film buff and former film journalist (including for ‘Film Bulletin’, up until 1974) who became a film director in the late 1970s, was the guest of honor at the 33rd Brussels International Fantastic Film Festival to attend the premiere of his latest film “Burying the Ex”, a black horror comedy thriller shot entirely in Los Angeles and which drew a nice reception in Brussels. 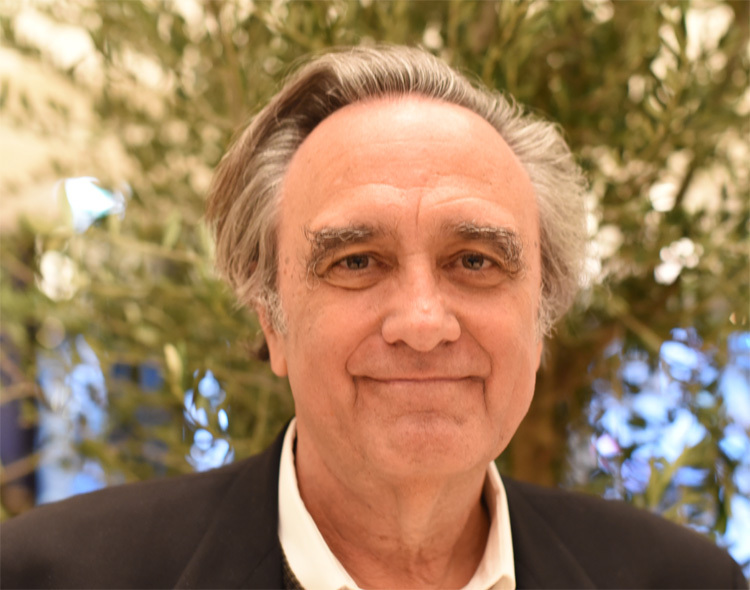 True to his earlier screen classics such as “Piranha” (1978), “The Howling” (1981) and “Gremlins” (1984), Mr. Dante, known as the king of the horror comedy genre who always excels with sparkling one-liners, original film references and a wonderful sense of humor pervading most of his movies, his body of work is and will always remain fresh and unpredictable. With other highlights such as “The ‘Burbs” (1989) and “Matinee” (1993) to his credit, it is hard to comprehend that “Burying the Ex,” his first feature since “The Hole” (2009), doesn’t have an easy time getting into theaters. Yet Mr. Dante is a veteran who has directed interesting films for nearly four decades now – and still counting. So why stop? What’s in your opinion the most difficult thing in the entire process of filmmaking? It doesn’t happen on every movie, but it is when you realize that you and the producers are no longer on the same page about the movie that you’re making. In the interim, they have changed their minds about what they thought they wanted, and now, they want something different, not what you’re making. And what’s more, it’s not what you’ve made, because this happens after you have been shooting for a week or two. And so, suddenly, all the plans go out the window and it has to be about something that it wasn’t about, or it has to have a tone that it didn’t have, but you can’t change it because there’s stuff you’ve already shot, so you have to move on. You might end with a movie that’s partly about this and partly about that. All of the fights that I’ve had with producers down the road have all been about people who changed their minds about what it is they wanted, oh, we thought it was going to be a film for children and now it’s for older kids, or vice versa, and so we’ll do it this way, while you’re already doing it – the other way. What about the opposite, what’s the biggest joy of making a film in your opinion? Oh, there are so many. The first successful screening of your finished movie, that’s very nice, while the opposite of that is the first view of the rough cut: the only good thing you know then, is it will never be that bad again. It’s never quite as good as you hoped for, and usually it’s not as bad as you fear, but the first rough cut is always disappointing, because it hasn’t been shaped, it’s just all there. If you’re good, you can see what needs to be done. As you know, movies are made three times: first they’re written, then they’re shot and finally they’re edited. But the editing room is where you perfect the movie, whether it’s the movie you intended to make or the movie that you’re stuck with: this is the part where you fix it. This is the part where you say, ‘Well, you know, this isn’t a very good romance, but it’s a damned good biker movie, so let’s concentrate on that and make the best biker movie out of the failed romance movie that we just made.’ Also, the joy of making movies is working with actors who come up with things that nobody planned, that weren’t in the script, discovering that you blocked the scene and instead of it being a problem, it just all worked out magically well. Basically there are many more good things about making a movie than bad things. When did you first realize that you were bankable? I don’t know if I ever realized about being bankable, but I did realize that, after I had made “Piranha”, which made money in South America where people knew what a piranha was, I suddenly got offered a lot of pictures, “Orca 2”, “Jaws 3”, things like that. These were not necessarily the movies that I wanted to make, but “Piranha” had put me on the map, so to speak, and there was a scene in the movie where the bad guy, who was a general and who was up to no good, falls in the water and gets eaten by piranhas. The audience cheered, and I never encountered anything like this. Something I had engineered, got an approbation from the audience and it gave me a feeling of power, I realized you could affect people, although it was done in a very crude way. 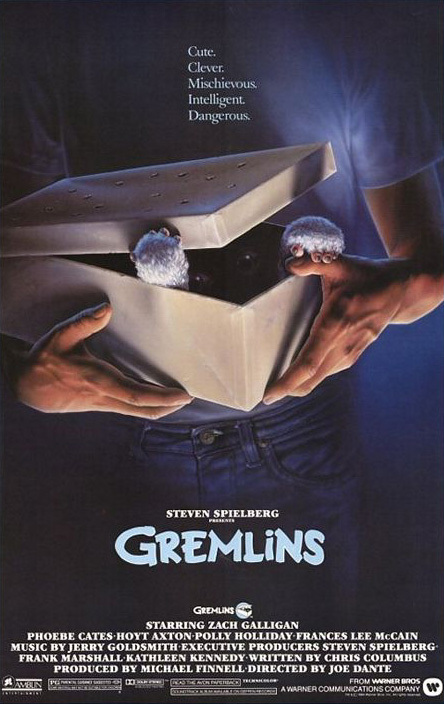 Once, when I went to see “Gremlins” in New York – it was played in two theaters next to each other – there was this one scene that got a big reaction from the audience and when I looked out from the projection room in one theater, I saw this wave in the theater, how the audience reacted from the front row all the way to the back row. And then I looked out the other window into the other theater, and the exact same thing happened. It sort of empowers you: it makes you feel that, when you do it right, you can have an effect. Now, if movies really did change the world or could affect any kind of good change, we would have all disarmed after “Doctor Strangelove”  came out. So I’m not a believer that movies can change much, but I think that they can certainly provide enjoyment and personal fulfillment for the audience when they’re done well. Have you always been able to work without somebody looking over your shoulder? I have occasionally been able to do that, but most directors would tell you no. When I was starting on very low-budget movies for Roger Corman, he was not the kind of guy who looked over your shoulder. He gave you his parameters: what kind of movie you were making, you knew how much money you had to spend and you knew how much time you had. He was almost never on the set, he was busy doing other things. His directorial and editorial instincts were always pretty clever. It was an incredible working learning experience working. When I worked for Spielberg, it was the same thing. He was a man you could go to for an answer or to discuss things, and he knew what he was talking about: he was a filmmaker. So in that sense, I was very lucky with my first movies, because even though some of them were low-budget exploitation movies, I really didn’t have anyone looking over my shoulder and that happened with “The Howling” too: I was working for a company then that suddenly discovered that horror movies were popular and there was not a lot of oversight. It was really only when I got into the studio system, away from Spielberg, that I realized how much interference there could be. And I don’t mind any interference at all from people on the same page or people with the same goal, but the destructive interference from people who don’t like the kind of movie that you are making or wouldn’t go to see it personally, but yet are just filled with ideas of how you should change it. That I found debilitating. That happened much more later in my career, oddly enough, it didn’t happen in the beginning when I didn’t even know what I was doing. I was just basically trusted to be able to go out and make these movies. I always came in on budget, or under, so it was like well leave him alone, he knows what he’s doing. But when I finally started to make expensive movies – understandably the more money is spent, the more willing they are about getting their money back – suddenly I had people telling me things like that’s not funny, you know. Well, I think it’s funny, so maybe we should let the audience decide when we go to the preview. Then they’d say, It’s not funny, so don’t do it. It’s difficult to deal with that. How interested they are, depends on how important the movie is. Mostly, they don’t have the time to manage the movie. I worked about a year and a half on “Looney Tunes: Back in Action”  and I was constantly being reminded by them they didn’t like cartoons, they would never go see a picture like that and kept telling me what I should do. You should do it this way. So I said, ‘You don’t like this movies, but I’m not making it for you. Why don’t you leave me and the animation director, who like these movies and we know what we’re talking about, let us just finish it, and then we’ll show it you?’ And when we showed them the movie, it didn’t even have any animation in it, they hated it. One thing that I learned, is never show the studio any picture in any kind of form that’s too rough, because whatever first impression they have of the movie, will be the impression they’ll have forever. You can bring Orson Welles to fix it, or James Cameron to reshoot it, and it won’t matter: their impression will always be the same. It’s hard enough to make movies when people are getting along. When they aren’t getting along, you go to work every morning and you are upset because you know you will have to fight with somebody about something, and you got six months to go, you know you will have to battle for six months with these people. It wears you down. Where do you get the energy to keep on making movies? I love making movies! Despite some of the bad things I just talked about, there aren’t too many of them: I only had those troubles from, let’s say, 1998 until 2000. That was the only time I had troubles with the studios, all the rest was wonderful. With all the other movies I made, I could say, ‘If you don’t like it, it’s my fault. If you do like it, that’s my fault too. It’s my movie, I stand by it.’ Little things I gave up on, the other things that I got, we did the bargaining and that’s the way people always made movies from the beginning of the studio era. You go to a preview, and sometimes it works, sometimes it doesn’t, and you do whatever needs to be done. I’m perfectly okay with the system! What I’m not okay with, is people who don’t know anything about making movies, telling you they do. What about the amazing talent of filmmakers such as Roger Corman and, most of all, an extraordinary filmmaker like Steven Spielberg. What makes working with them such a wonderful experience? Well, one thing is, the foster talent. They both have done projects purely because they wanted to find new people. Roger has a more complex motive, because finding new people means you can get them cheaper and it also means you can get them to adapt to your way of working. But he is also tremendously talented at finding new people who really want to make movies. And I was one of them, I did everything to make my movies good. When I edited “Piranha”, like seven days a week for a whole month, I even slept in the editing room because I was afraid it would be terrible. I didn’t go to the wrap party because I thought the movie was terrible. But he found people like that. Spielberg also: one of the reasons he formed his own company, was to bring in new talent! With the TV show ‘Amazing Stories’ [1985-87], he insisted NBC would keep to their two year agreement because he wanted to use it as a starting off point for young talent, to give them a break, bring them into the studio system and let them make a studio movie of thirty minutes, for a bigger budget than they ever had before. So I think of them as givers to the business: they brought so many people and so many talent to the business. You didn’t see too many other people doing that kind of thing. How did you move on from the low-budget production “The Howling” to your first Hollywood studio movie “The Twilight Zone”? Well, it was a gradual step. The “Gremlins” script first came to me as a low-budget movie. Steven had decided he wanted to make a low-budget horror film as the first movie for his new company. While we were developing that, we discovered it couldn’t be a low-budget movie if we wanted all of those special effects. “The Twilight Zone” then came along and I was in the right place at the right time because I was asked to direct an episode, so that was my first studio movie. Ironically, because of the tragic accident that happened before we started shooting the rest of the movie [deadly helicopter crash when shooting John Landis’ episode], the studio was very hands-off on the movie. They wanted the movie, because it was a Spielberg movie, but they didn’t want anything to do with it. So George Miller and I – for him his first studio movie as well – were completely left alone: we got all the talented studio people, we got all the studio equipment, and we could do whatever we wanted. We both discovered on our next pictures that it’s not really the way it works. How do you work with your actors on the set? I take the John Huston approach. I start with storyboards – I’m not Hitchcock, I love Hitchcock, I love his movies, but I couldn’t work that way where everything is figured out, where you’re going to be, and all of that. But John Huston used to say, ‘Now you just come in and let’s run the scene. Let’s see where you’ll stand. You’re going to pick up your hat? You’re going to move over there? You’ll pick up a drink?’ Then you look at that and you decide how you’ll cover the scene. I always have my idea, but the extra and additional fill-up of the actor coming up with something different – what if I stand over there, or what if I don’t do this or that – I like that. It’s one of the fun things about actors who come up with that, I love that. This spontaneity is great. Doing a scene over and over again like Stanley Kubrick did, I couldn’t do it. I think he’s great, but I couldn’t do those many takes. Working with actors is the joy of making movies, because it’s the one thing you anticipate. You don’t know what they’re going to do, unless you’re doing a movie version of a stage play where you’ve seen them all playing their part. The way they play opposite each other is a surprise. Kid actors are even better because you really never know what they’re going to do or where the stuff comes from. That’s why I make so many movies with kids, they’re great to work with. THE GREATEST SHOW EVER (2007) DIR Joe Dante, Huston Huddleston, Scott Leva, Stacy Title PROD nancy Adams TELEPLAY Huston Huddleston CAM Paolo Cascio, Charles Schner CAST Traci Lords, Mickey Rooney, Daniel Alm, Arthur Ryabets, Emanuela Szumilas, Adrian Arminius, Luke Eikens, Cassie Jaye, George Lindsay, Jr.
Posted in Film director, Film Talk and tagged Alfred Hitchcock, Amazing Stories, Burying the Ex, Doctor Stangelove, George Miller, Gremlins, James Cameron, Jaws 3, Joe Dante, John Huston, John Landis, Looney Tunes: Back in Action, Matinee, Orca 2, Orson Welles, Piranha, Roger Corman, Steven Spielberg, The 'Burbs, The Hole, The Howling, The Twilight Zone - The Movie. Bookmark the permalink.